General Conference Women's Meeting March 2017 PDF printable talk summaries for my sistas! 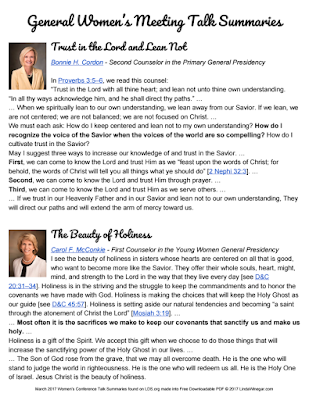 General Conference Women's Meeting #LDSConf or #GeneralConference was amazing & I'm looking forward to this weekend's General Conference!!! I was able to go with my sweet and fantastic, exemplary mom. We might be considered "peculiar" but when we walked into Zupas for dinner before Women's Meeting, we felt pretty normal. 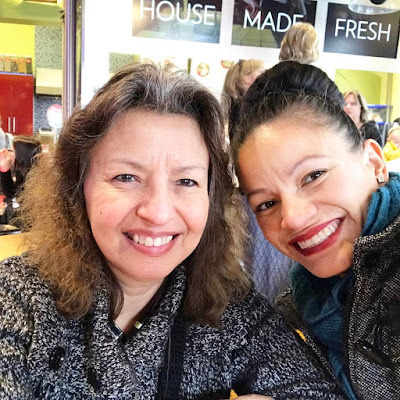 In fact, it was AMAZING to witness the sea of righteous LDS, glorious, beautiful women, young women and girls together united in faith getting fed physically, before partaking of the spiritual feast coming up during our General Conference Women's Meeting. My mom talked to one of the employees who said they always prepare for Women's Meeting by having everyone on staff to help serve, and told her they broke all kinds of sales records already and it was only 4:45pm by the time she spoke with them, and the women kept coming in. :) It was truly a sight to behold, and I imagine that is how excited we must have been all lined up and ready to "go and do" what the Lord commanded us before we came to Earth. 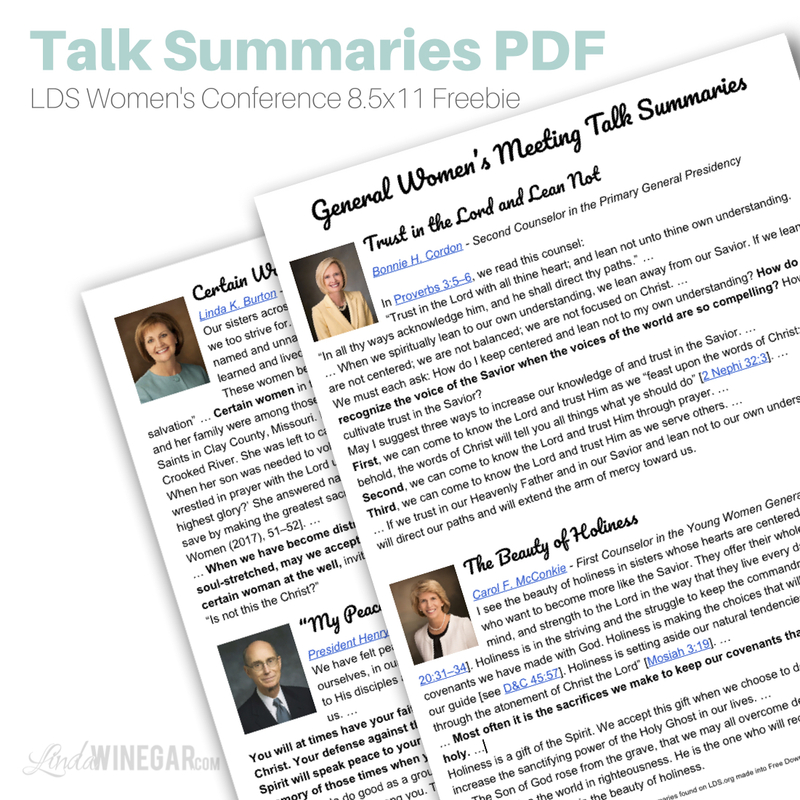 I saw they had the Talk Summaries available on LDS.org right away, but it wasn't in PDF or anything printable, so of course I had to make a PDF, cause ...well, the Spirit made me do it, so I did, & here it is! I'm printing it to give to a few of my sisters who I minister to, who weren't able to watch. Enjoy this Conference Weekend! Use #LDSConf, #GeneralConference on Twitter.com so that I can retweet your fave quotes!